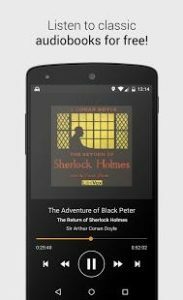 Audio book can be streamed over the internet any time anywhere. Genres books available for search in our application: romance, poem, mystery, sci-fi, children and more! Pleasantly surprised at how many free books there are. Only just downloaded but as a literature undergrad student I’m looking forward to trying this and it seems good so far!